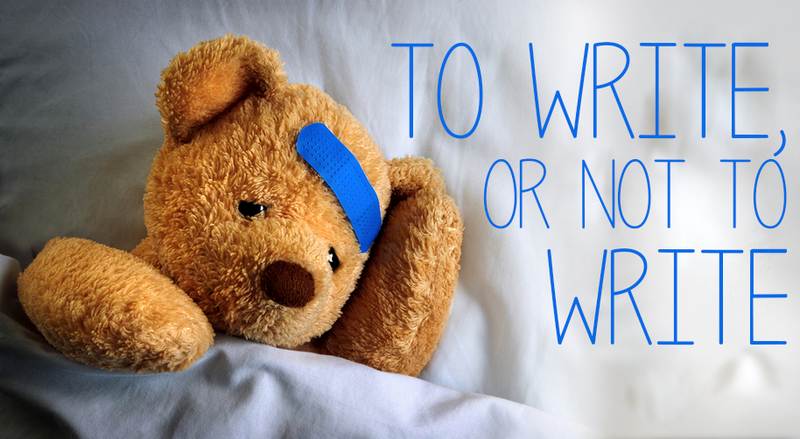 Should Writers Be Writing Everyday? This month I’m participating in a daily questionnaire for writers about their craft and work habits. It’s been a lot of fun thus far and I’m making some new friends along the way, but there was one question I wanted to explore a little more deeply. Recently, we were asked to share the worst advice that we’d received as writers. Many authors immediately said that they hated it when people told them that they should write everyday. They said that this was an unrealistic expectation that just ended up making them feel bad about themselves. I was intrigued by that, especially since I’ve been encouraging my writing students to write everyday for years now. I understand the feelings of those who are opposed to the idea of daily writing sessions. Life happens, and we shouldn’t punish ourselves for focusing on more important things when they come up. I also understand that some people have writing rituals that require a certain amount of time or preparation that make them impossible to do at the drop of a hat. Still, I’d like a chance to clarify my position on the subject. I don’t encourage my students to do a full writing session every day. My advice is to get a minimum of 100 words written every day, which usually takes 5 minutes or less for the average writer. Even doing this minimal amount of work will help establish your writing habit, and make it that much easier to take the time for a serious writing session when you have the time. Of course, life can still happen and you could miss the occasional 100 word minimum. That’s fine. But it’s important to make that effort and at least stretch those creative muscles, even if you don’t have time for a full workout. I’ll end this by acknowledging that writing advice is subjective, and if you’ve found that you’re able to write better by not holding yourself to a daily standard, please keep doing what you’re doing. My hope is to speak to those writers that are still trying to find their own writing process, and to encourage them to lean towards goals and personal accountability, rather than the slippery slope of justification and excuses. I know following this advice (minus the word count aspect) has been great for me. If I can get in just 10 minutes somewhere at least I haven’t lost a day and can keep the momentum. I’m glad that the advice has been helpful for you. The word count aspect is really there just to motivate people to do more than stare into space for ten minutes then say they were writing. Planning and daydreaming is certainly a part of the craft, but you must write to be a writer.